Ideal storage basket for cosmetic products and more. 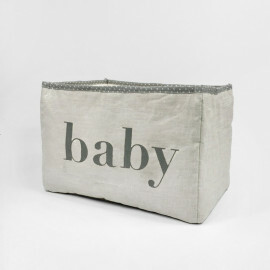 It allows you to keep everything at hand while simultaneously adding a decorative touch to the bathroom or bedroom. Exterior in printed fabric. Interior in beige linen. Lightly padded for extra rigidity. Cream coloured cotton handle. DIMENSIONS: 17 x 17 x 17 cm. 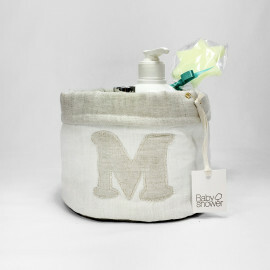 PRODUCT CARE: Hand wash. Can be ironed at low temperature. Do not tumbl dry. DELIVERY: product in stock. For up to 4 year-olds. This poncho provides a magical way to get out of the tub or the pool. 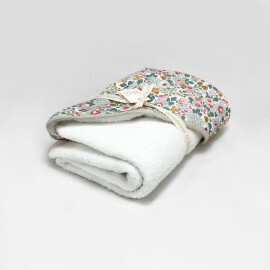 It is a large terry cloth towel with a hood and a cute decorative pompom. 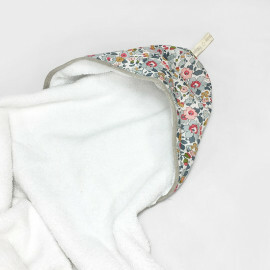 The hood and the front edges are lined with Liberty Betsy floral print. It has two ribbons to tie at the neck. 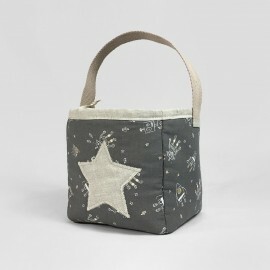 Cesta organizadorar de lino para colocar pañales o otras cosas que quieras tener a mano. Puedes personalizarla con el nombre del bebé. 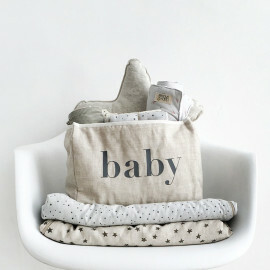 This organising basket allows you to keep nappies at hand when you change your baby and at the same time it adds a decorative touch to the room. Beige linen exterior. cream linen interior. 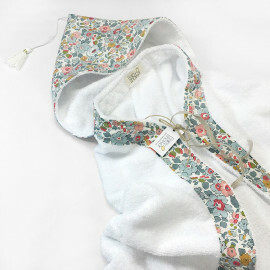 The top part is embellished with the fabric linen. 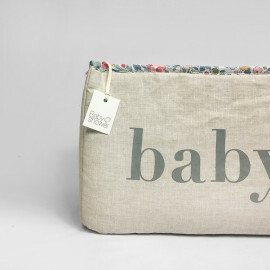 You personalised it with the name of the baby. 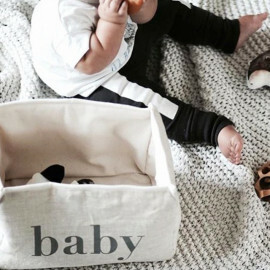 This organising basket allows you to keep nappies at hand when you change your baby and at the same time it adds a decorative touch to the room. Beige linen exterior. cream linen interior. 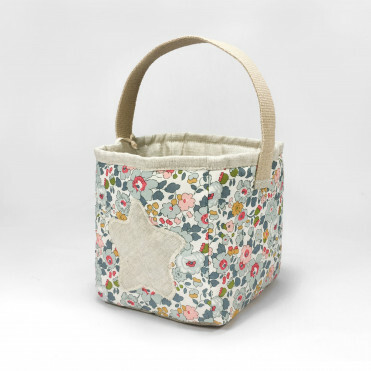 The top part is embellished with ecru linen. 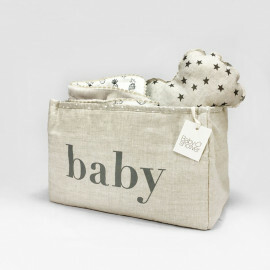 It can be personalised with the name of the baby. 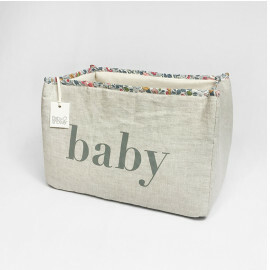 In that case you should write the baby's name on the personalisation case. 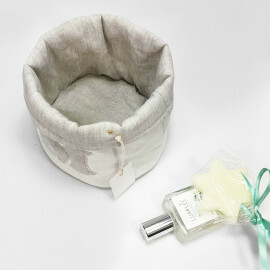 Small storage basket for baby care products and toiletries. Finished with a cotton strap that makes it easy to carry when needed. 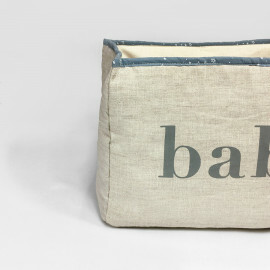 Small plaid designed to put on the floor or on the crib as a playground. 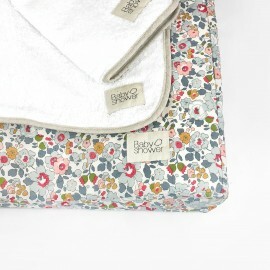 Both sides are in the chosen cotton or linen fabric. 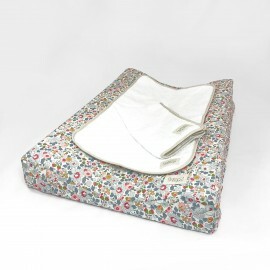 Softly padded to be a soft confortable playground for the baby. 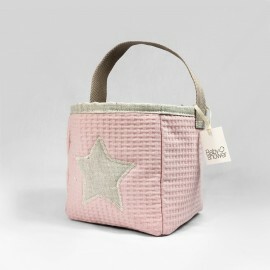 Ideal storage basket for cosmetic products and more. 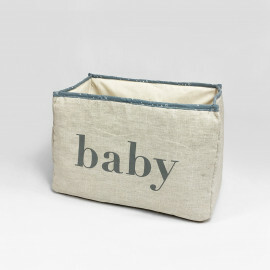 It allows you to keep everything at hand while simultaneously adding a decorative touch to the bathroom or bedroom. 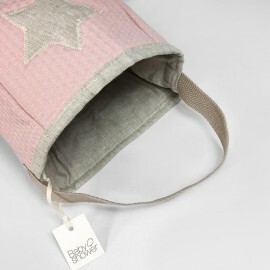 Exterior in plain cotton fabric. Interior in beige linen.